At 7:00am you will be picked up from your Hotel or Nile Cruise in Luxor by your licensed tour guide and be transferred by private A/C vehicle to the West Bank where you will visit the Valley Of The Kings where many kings are buried, namely: King Tutmosis I, Tutmosis III, Tut-Ankh-Amon, King Ramssess VI, King Mrenptah and AmonhotepII. This will be followed by a visit to the Temple of Queen Hatshepsut, the only pharaonic woman who reigned ancient Egypt. You will then continue your day to The Colossi of Memnon which are remains of the mortuary temple of Amenhotep III. Lunch is included at a local restaurant on the East Bank (drinks are extra) and will last for one hour, before moving to visit Karnak Temple. This is the greatest example of worship in the history of Luxor. 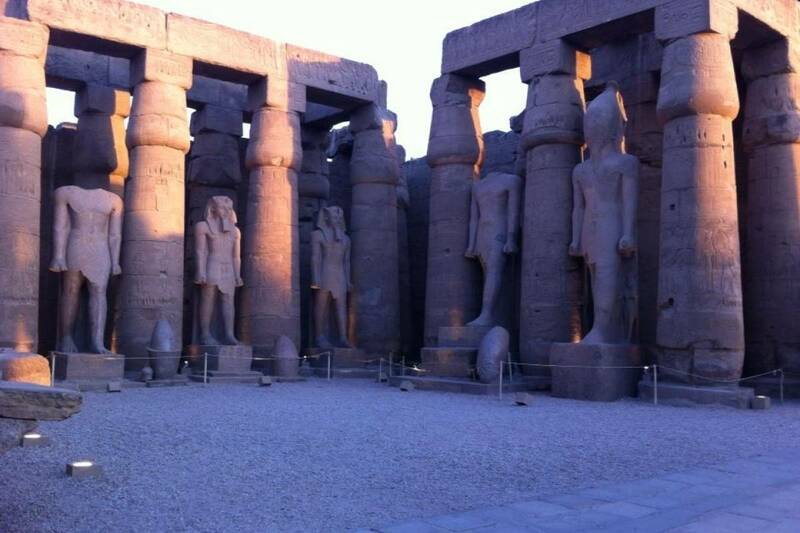 Your tour will end by visiting the Temple of Luxor, built by two Pharos in different dynasties. Later you will be driven Back to your hotel or Nile Cruise in Luxor or Even transfer to Luxor airport.